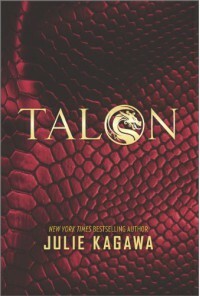 At first the whole dragons living as humans seemed a little far-fetched but Julie Kagawa seems to be able to pull anything off, from vampires to fey to dragons and she does is so well. Ember is a fabulous character, who I immediately identified with. I think young readers will recognise themselves in her rebellious ways and I think older readers like myself identify nostalgically. The battle she has within herself, draws parallels with that of Talon and St George and of course where would a YA novel be without a good old love triangle. Bravo, can't wait for Rogue to hit the shelves.